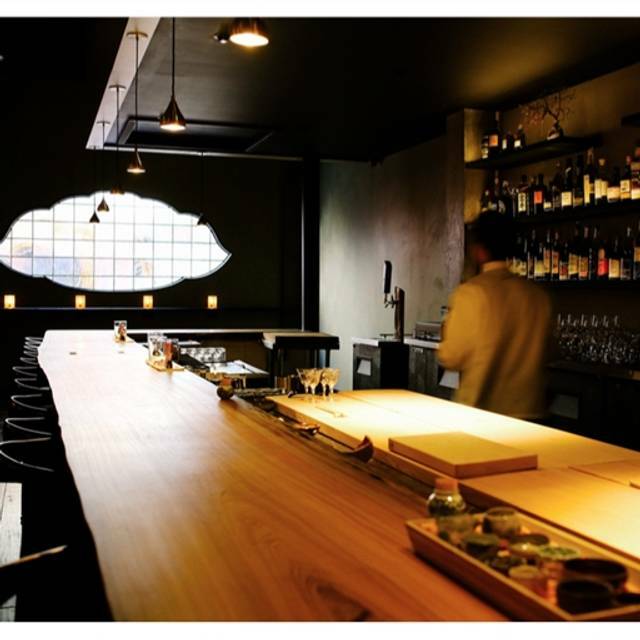 Shibumi is an intimate 40 seat Japanese restaurant and bar located in the heart of Downtown Los Angeles. Guests are invited to enjoy a unique and rare selection of beverages paired with seasonal offerings. The program begins with a quest for the highest quality local, organic, and sustainable ingredients. And it finishes with skillful arrangement on handmade ceramics atop a 400-year old cypress counter. Omakase now available! Please contact restaurant directly for further catering information. Special Event announcements are made via email and social media. Shibumi is a Japanese restaurant in DTLA that's unlike any other Japanese spot in town. We dined with friends who are foodies. We ordered 2 - $90 and 2-$120 Omakase and enjoyed the meal very much. Every course was different and special. We especially enjoyed the cedar planked salmon. Very moist, tasty and delicious. The steamed rice was exceptional. The only course that we all weren't crazy about was the gelatin dish for dessert. I ordered the Okamase which costs 90 per head but there are no sashimi included at all. it's not even worth for 90 bucks. They just give you grill or tempura food or Veggies. The tempura fish is not fresh and it doesnt have any taste, i can even tell that is just a frozen fish tempura. the portion is so little and at the end they just give to big bowl of stream rice which make you full. I will never go to this restaurant again. NEVER. Well. I have to say the food is mediocre, but the chefs are very cute. We really enjoyed the omakase options (both food and drink) at Shibumi, which I feel are pretty generous portion-wise. Go here! It's one of my favorite restaurants in LA. Ordered the tasting menu and it was phenomenal. No one in LA is cooking like this. Everything so carefully thought out. Bamboo with miso and shiso is one of the best things I have eaten in a very long time. Can't wait to go back to see what else I can try. Unique & Adventurous dining experience. If you are fussy & not up for trying a completely different palate of flavors. This is not your spot. I've taught my son (as I was taught) at least try something once. If you don't like it, fine, but you need to at least try it. Shibumi was an exploration of food. Our server was very warm & friendly - she explained each dish to us. We let the chef be our guide via the omakase option. Be ready for some very strong flavors & textures. Everything was beautifully served. Our favorites were the grilled meats & the ice cream with candied apricots. 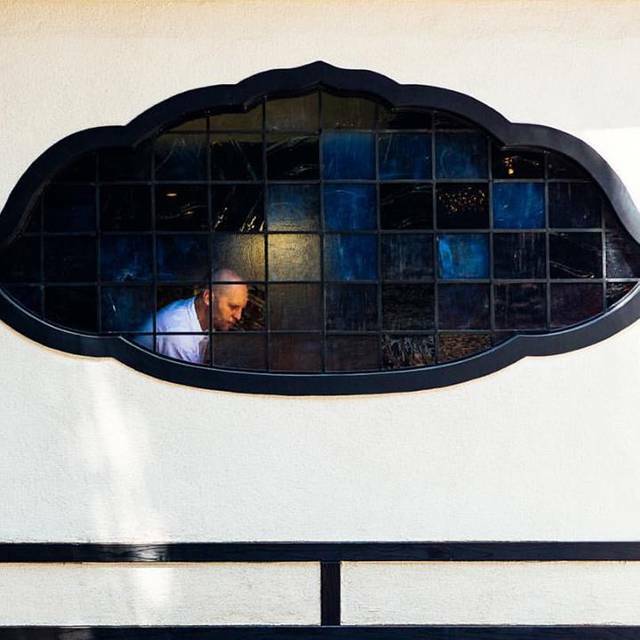 The overall dining experience took you away to Japan without leaving the LA vibe behind. If you are up for an adventure I recommend the experience. Most of the food from the omakase were really good. We were expecting an uni dish for the next price level of the omakase but was disappointed to find out it was not being served that night. Overall, it was a good experience. I had high hopes for this place since it is difficult to find authentic Japanese food in the states (not overly flavored simple food). The food was good except for the rice. The rice itself wasn’t that good (not good enough to have a separate section in the menu) and it was just cooked rice in a pot with stuff on the side. I expected takikomi-gohan or something. The other thing that bothered us was the order in which the food came out. In Japanese cuisine, carbs always comes out at the very end of the meal but they served it before our main dish (steak and pork). We were kind of full by the time we got to the main dish and it would have been nice to eat the rice with the main dish. It was nice that you can do half size of the main dish to taste different flavors. The music did not go well with the atmosphere at all (old rock music?!) and it was way too loud. We couldn’t hear a word the waitress was saying over the counter. Lastly, we asked to be seated at the counter because we thought that we could see the chefs cooking. But the entire counter space in the dining area is just a bar (could be nice but basically it’s where things are stored) no cooking actions to be intrigued by. Coming from Japan I find them expensive for what they are but we’re in LA so that’s how it goes. This is a traditional Kyoto Kappo style restaurant NOT sushi, not ramen, not an izakaya. The chef /owner Chef David Schlosser is a master of this style of cuisine. 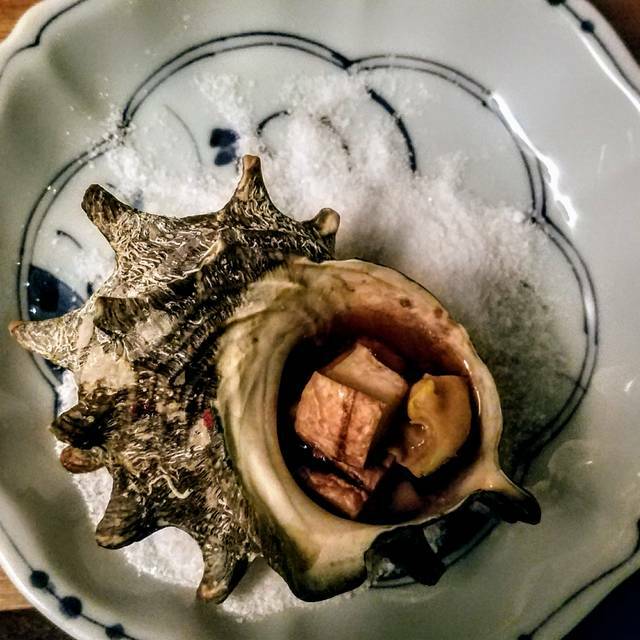 The care he takes in selecting and preparing the freshest, most seasonal ingredients for his menu, he also pays to the personal relationships he has forged with the pottery makers of Japan who provide the restaurants dinnerware. 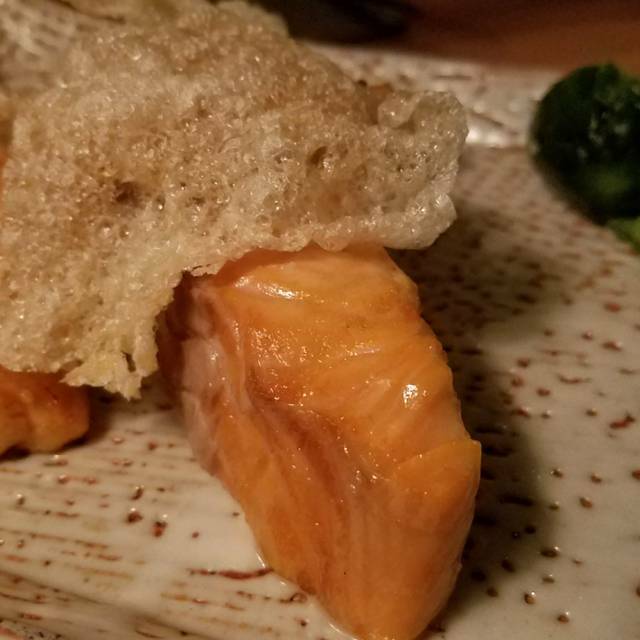 I’ve been to Shibumi a number of times and it never fails to impress. Because this time was a special occasion, I chose the food and beverage omakase menus. If you can spring for it, this is the way to go. Each dish with the appropriate beverage selection harmonizes and flows like a beautiful song. Nothing short of exquisite. Thank you. Excellent collaboration dinner, food was outstanding. Can’t wait to come back for regular menu. About 10 other random people and I had reservations for 830pm on a Saturday. By about 9pm they were able to start seating some of us. Some people just left out of disgust and a regard for the value of their time which this establishment wasted. Completely unacceptable for any restaurant that's been open more than a month. Also the prices are a bit ridiculous. The food is good, but not that good. I cost $26 for a pint of hard cider to give you an idea. 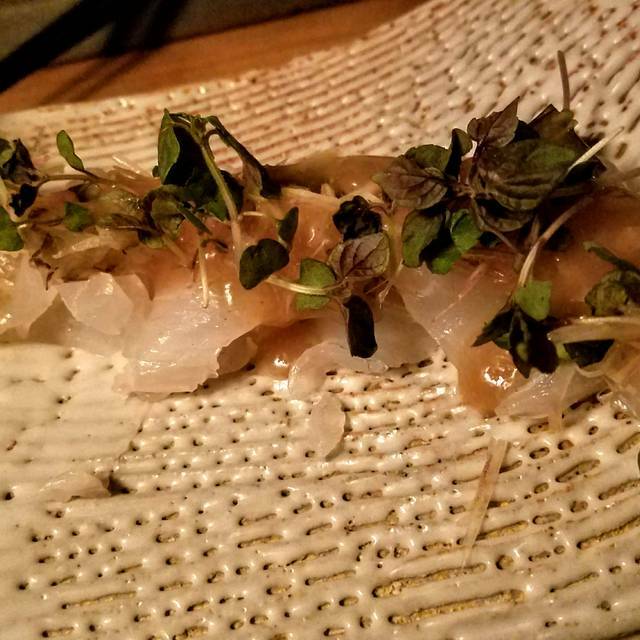 My friend and I were referred to Shibumi with rave reviews. We were so disappointed. From the microscopic portions on the starter to the tasteless sweet potato rice bowl we were sorely underwhelmed. I did enjoy the grilled pork as it was very tasty. The off the menu tuna was also very good. Overall, the general motif of the meal was not integrated, but rather disjointed and not pleasing. I have eaten in Japan and am a huge fan of Japanese food - this was not pleasurable at all. The pricing was outrageous for the quality of meal. The waitstaff were moderately accommodating but somewhat disdainful. Hipster angst is old news. Skip this pseudo-Japanese joint for better fare elsewhere. Great food - do the omakase with the kobe option. you won't regret it. Sit at the counter. Rare that you'll want to be there. I’ve heard a few good things about this place from friends. I should’ve went with instinct to check the reviews. I was expected some exciting dishes, but I got was an Omikase dinner that was not up to par. If I wanted to eat a slab of Salmon I would’ve gone to a super market. Quite possibly the best restaurant in LA! This is a unique dining experience. They use Japanese recipes from the 16th century -- everything is made from scratch. Each morsel melts in your mouth. And, the staff/service were the very best. Very attentive. had an amazing time here. the omakase was delicious and so fun. Unfortunately the party before us took a long time so we were not seated until 40 minutes past our reservations. We both had the the most expensive omakase dinner along with the $40 beverage omakase. The first several dishes were good, but very small portions so my husband was worried he was going to go home hungry. As the meal progressed the portions were bigger and towards the end we couldn't finish the meal so we had them boxed up to go. Due to the delay in starting our meal 1/2 way thru we felt rushed thru the dinner. We had several dishes served at the same time. The omakase beverage pairing was great. It was totally worth the price. Our server took time to understand what we preferred to drink and served us accordingly. Overall it was a great experience just wished we didn't feel so rushed. Everything is good except the rice. They should improve more on how to cook the rice or the type of grain. Terrific tasting menu. Flavorful. Attractive. Creative. Worth the $90. Had this with friends and will do it again as a couple next time as every dish was a hit. Love the Negroni cocktail too. So hard to pick between interesting cocktails and many good sakes. This is one of the worst dining experiences my wife and I have had in Los Angeles and we eat out regularly. In fact, we left in the middle of our tasting menu the experience was so bad. This was truly sad for us given that we were celebrating our 24th wedding anniversary. The whole evening started off badly. We had made our reservation (well in advance) to sit at the bar so we could be near the food prep. We were shown to two seats very close to the entrance and away from the chef. I asked to sit closer and we were about to be seated and the chef said these seats were taken. No sorry, no hello. In fact, we were then ignored by him the entire evening. However, siting next to us was a group of four VIPs, who were constantly doted upon by chef. The final straw was when food, that was rushed, was thrown down in front of us. When my wife asked for an explanation of the dish, the server seemed truly annoyed to talk to us. I have never been made to feel like such second class citizen in a restaurant. I found it unacceptable. great food, friendly svc, great music tracks by staff. food with a flare and different with a great taste. Shibumi was the most disappointing dining experience I've had in a long time. It was incredibly easy to get a reservation on a Friday night at the last minute, which should have tipped me off. The seafood I had was lovely, but every other dish was terrible. Bland, came out at odd times and unevenly paced. We received our rice about 30 minutes after the rest of our food was finished. The food was incredibly overpriced as well. I hate to leave this review - I came in expecting to be blown away, and was reluctant to admit to my date that my restaurant recommendation was a bust. I was searching hard for proof that my disappointment was MY fault, but we were both thoroughly disappointed. Over priced. All the non sushi dishes in omakase were mediocre at best. Never write reviews. This experience was a couple months ago, but it was so exceptionally bad that while on my opentable just now I felt I should complete a review. This restaurants completely lacks humanity. Plus the service is very bad. 25 th wedding anniversary was excellent. Other than the homeless woman who walked in and gave a massage to a guest, it was great. Highly recommend it. They were out of the special prix-fixe Oita-ken promotional menu, so we ordered off the regular menu instead. Glad we did - we got a much wider variety of dishes. All were terrific. Standouts were the yellowtail and sea bream sashimi dishes, the salmon smoked with cherry bark, the California beef dish, and both of the fresh tofu dishes. Good and knowledgeable service and first-class food. Food, sake, tax and service came to @ $100 per person, and it was worth it. First, the bad news. We were looking forward to the special Shibumi + Oita menu. However, no where does it say to claim that menu with the table reservation. There's no such instruction on the Shibumi site, nor here on Open Table, so I simply reserved our table a week prior and thought nothing more of it. Lo and behold on the night of, when we asked for that menu, there server said it was sold out and that "you should have reserved it with the table", in not so many words. So, lesson learned; special menus at Shibumi REQUIRES a reservation for it, in addition to one's table. Don't know whether making a note on Open Table is enough, so better to call, I suppose. On the bright side, the regular menu was tasty and intriguing. Winning items include the house-made tofu (served hot and has a pristine seafoodiness), sashimi (not the market price Seafood of the Moment, but the priced item with accoutrements), salmon trout (rich and just cooked), and the steamed iron pot rice with beef shin (comfort food that I'd be happy to order every time). Also worth it is the beverage omakase. It starts at $40 per person, and that was all that was needed for our dinner. It provided five different tastes as our meal progressed, and four of them were excellent pairings. (The off one was still good, though it didn't sing with the food like the others did.) That's $40 well spent. Finally, must mention the convenience of the restaurant at the foot of a parking garage. Indeed, the entrance ramp is right next to the restaurant, so you can't miss either. With validation, parking is only $5, which is cheap and convenient for DTLA. However, there wasn't an obvious way to get back into the garage, so we had to follow the ramp to return to the car. 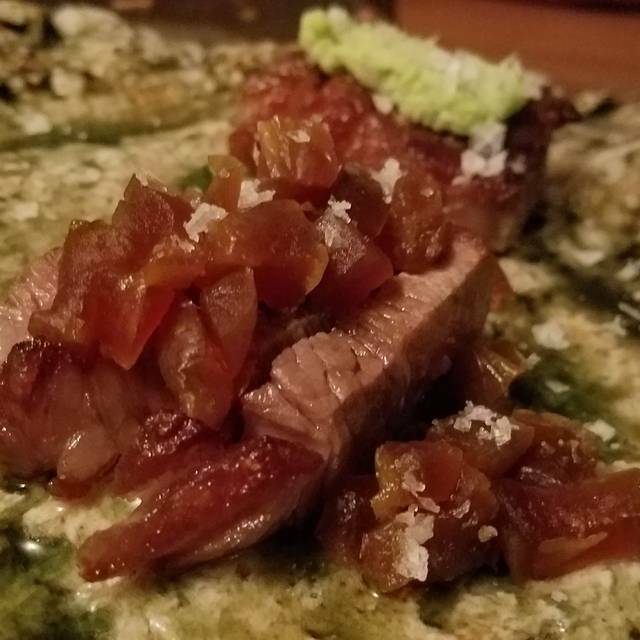 My fiance and I decided to do the 6 course Bungo Wagyu tasting menu for our date night. We haven't had one in awhile so we were pretty excited. The dinner started off well with a nice pieces of yellowtail sashimi. Then our dinner made a turn for the bad and then for the worse. There was a 25 minute lag between our first course and the second course. The second course came and it was the grilled Bungo Wagyu. It was delicious. Then came another lag before they brought us the sukiyaki and rice. This is the first time I've ever seen plain, white rice listed as a course. Ok, fine the Bungo sukiyaki was also very good but I realized we never got our 4th dish which were pickles. We asked where it was (after we finished the rice and sukiyaki) and our server looked confused and said it was suppose to be served with the rice and sukiyaki. Then another server came by gave us our pickles and ran off. What am I suppose to do with this? No apology no explanation. Ok, fine I'm over it. Let's just the dessert and leave. They bring the dessert (they didn't ask us which one we wanted but brought us both desserts anyways). We get the bill to find that 18% gratuity was already added. How you can forget a dish in a 6 course tasting menu? And then charge me for 18% gratuity like you deserve that? No way. Never again. 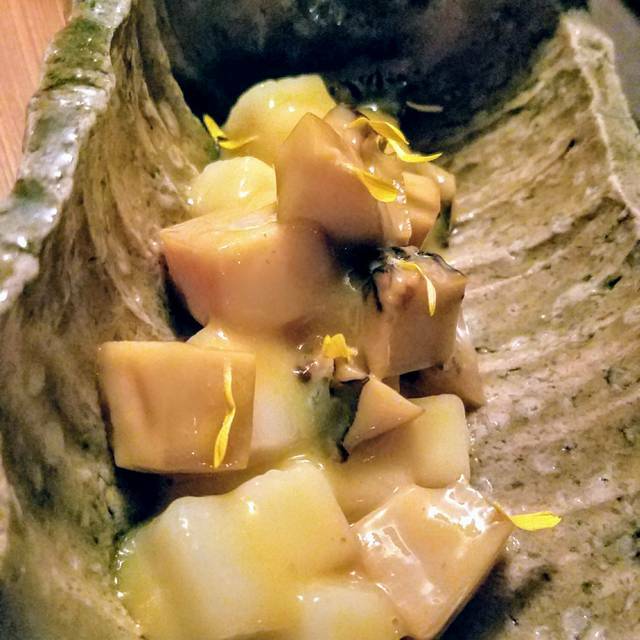 All in all, our experience with Shibumi was probably one of the worst dining experiences of the year. It wasn't a cheap meal after account for the rice being a course as well the neglected side of pickles being another course. The menu really is a 4 course menu not 6. We felt a bit cheated for what we had to pay and we should not have to be forced to pay 18% gratuity for lackluster service. To top it off, the meal took forever! Our reservation was for 7:15 and we arrive early. We left the restaurant at 9:30 pm. I want my time and money back. Dined here for a special pre-fixe connected to the Oita Prefecture. The food was amazing, especially the Bungo Wagyu with the vibrant housemade yuzu kosho (the best I’ve ever had). Unfortunately, the $40 wine pairing was not good at all. The location was very difficult to find. We drove passed by it several times and did not see the restaurant or signage. However, the hostess was very accommodating and friendly even we arrived quite late from our reservation. We enjoyed our food very much and had a excellent dinning experience.